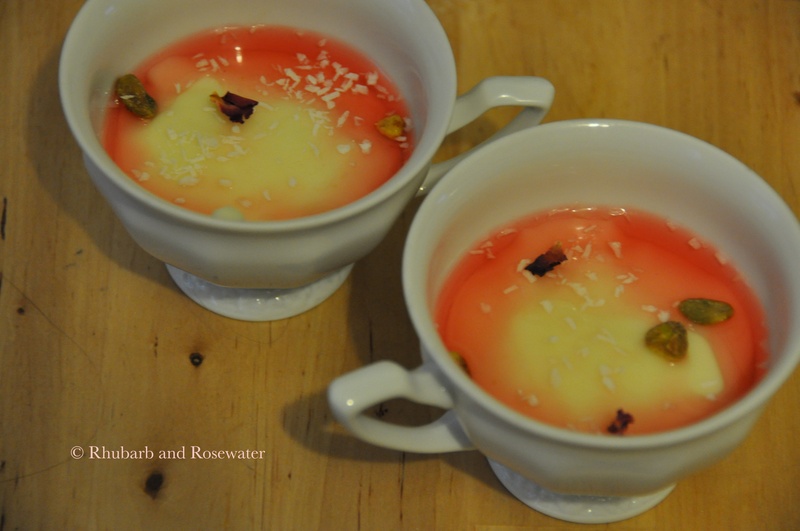 My recipe for this delicious rosewater pudding is from a cookbook featuring Israeli food, Janna Gur’s The New Book of Israeli food, but this pudding can also be found in Turkish, Arab, and Persian cuisine. The recipe was also featured in Saveur, which has become one of my favorite culinary journals. 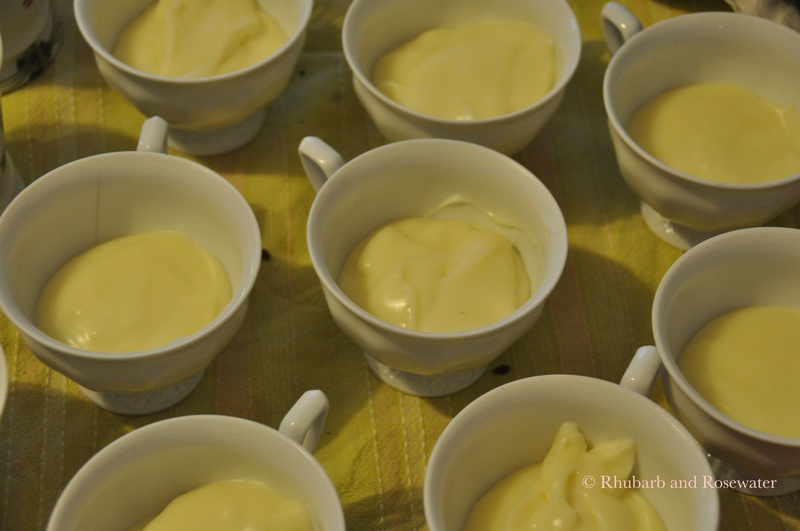 The pudding is easy and fast to make and is a big crowd-pleaser. I made it for a party recently and was asked for the recipe several times. 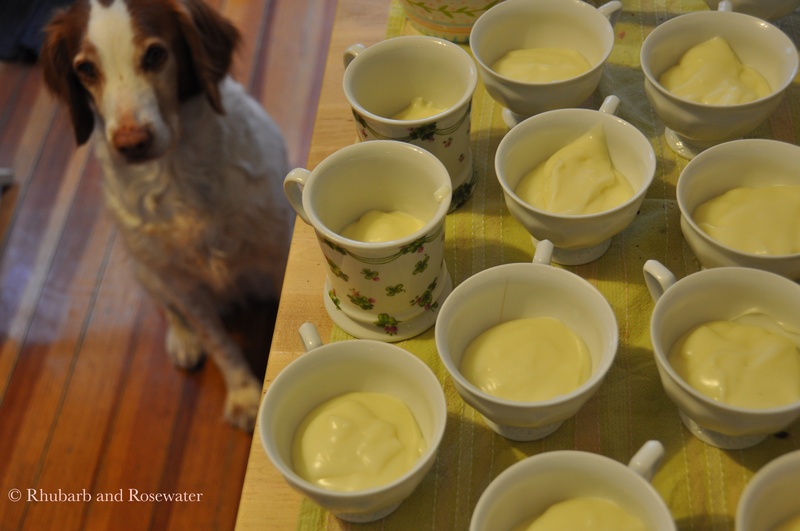 Even Gracie was very intrigued by the fragrant rose water and stayed in the kitchen the whole time while I prepared it, sniffing loudly once in a while. I did not let her try it, but I am sure she would have approved of the taste as well! 1.) In a small bowl, whisk together 1 cup of the milk, the cornstarch, and 1/2 tbsp. 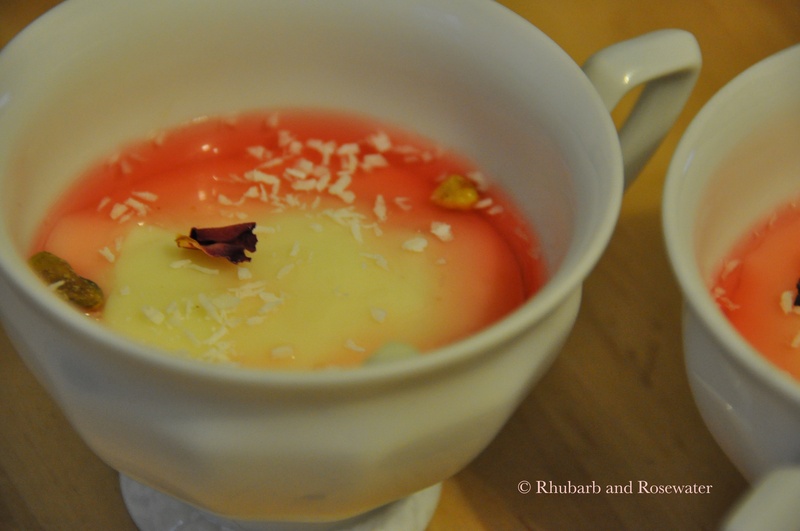 of the rose water until the cornstarch dissolves completely. Set cornstarch mixture aside. 2.) 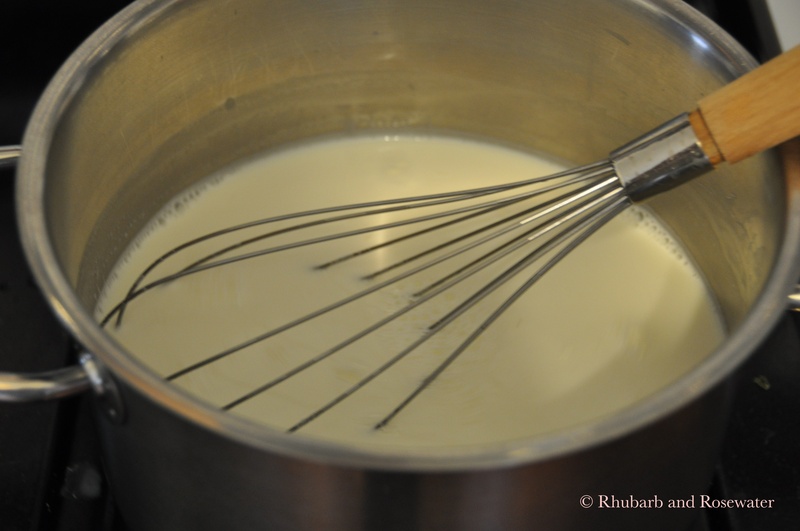 In a saucepan bring the remaining milk, the cream, and 1/2 cup sugar to a simmer over medium heat. Whisk in the reserved cornstarch mixture. Cook, stirring constantly, until the pudding thickens, approximately 4 minutes. 3.) Pour the pudding into four 5-oz. serving dishes. Let the mixture cool to room temperature, cover with plastic wrap, and refrigerate until chilled, about 2 hours. 4.) Meanwhile, bring the remaining sugar and 1/4 cup of water to a boil in a saucepan. 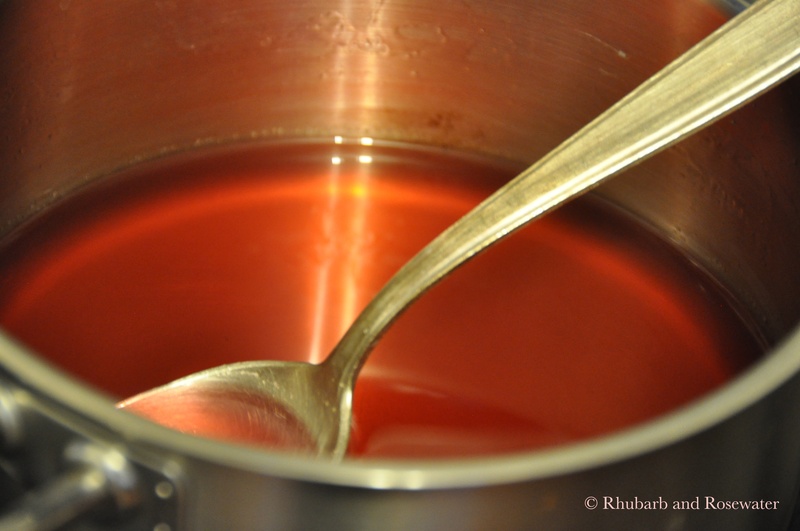 Stir in the remaining rose water and the food coloring to make a syrup. 5.) Add the syrup and the garnish directly before you serve the pudding. This looks so much better than any blancmange I ever had!